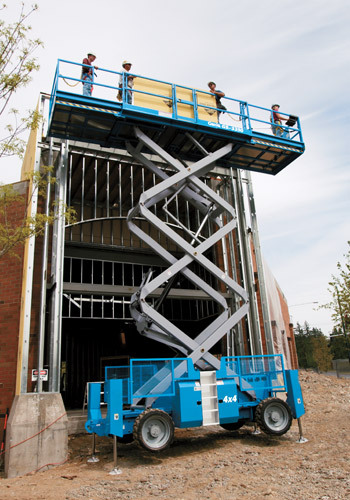 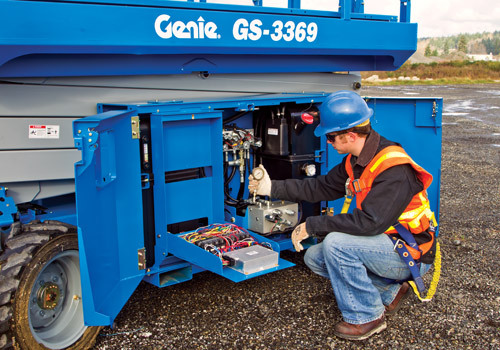 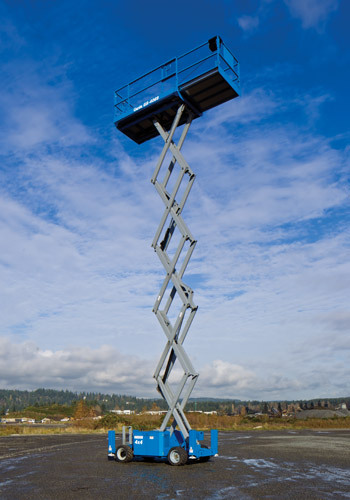 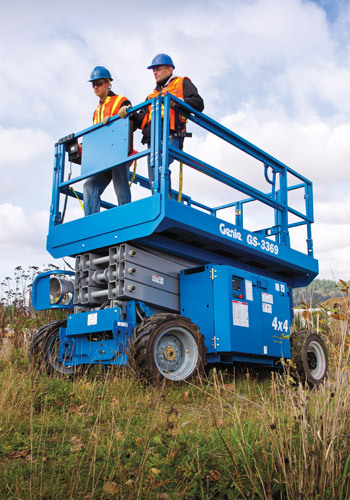 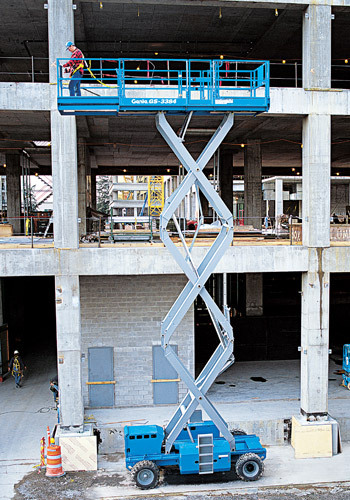 Genie rough terrain scissor lifts are tough, construction-oriented four-wheel drive machines with positive traction control — ideal for increasing productivity in demanding outdoor work sites. 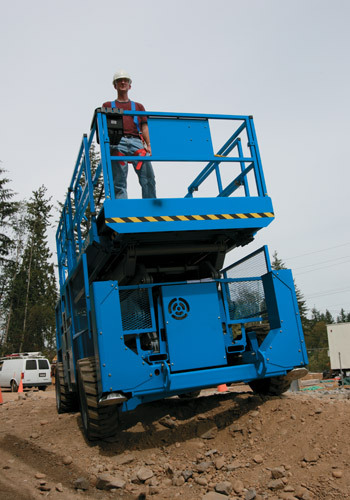 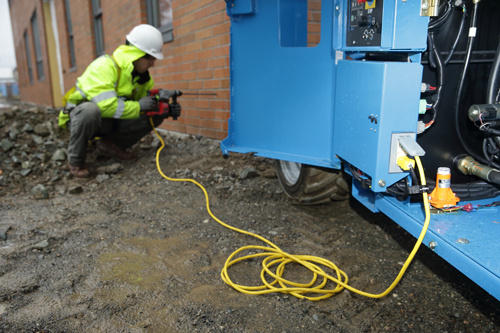 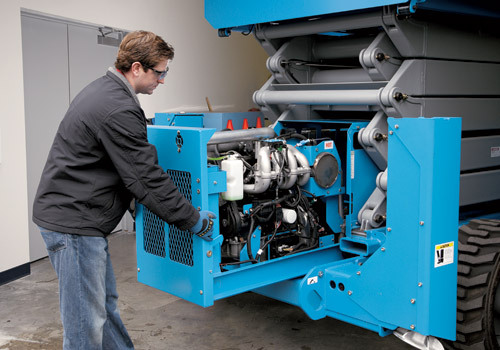 Competitive lift speed and large platforms increase efﬁciency with the handling and capacity to get to the job site and ﬁnish working faster. 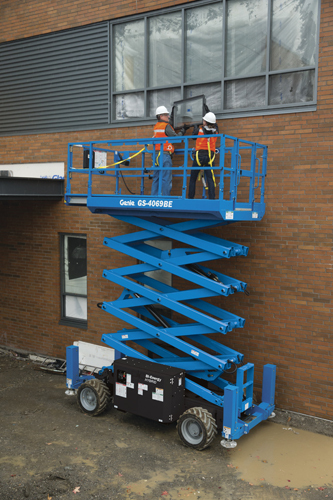 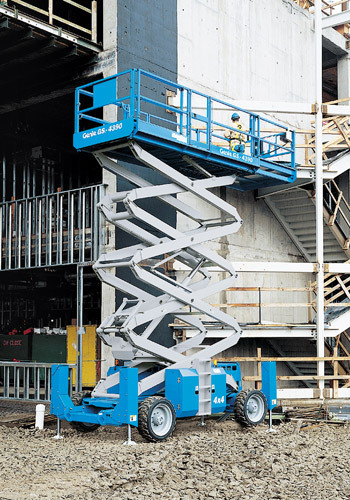 Genie rough terrain scissor lifts are tough, construction-oriented four-wheel drive machines with positive traction control — ideal for increasing productivity in demanding outdoor worksites. 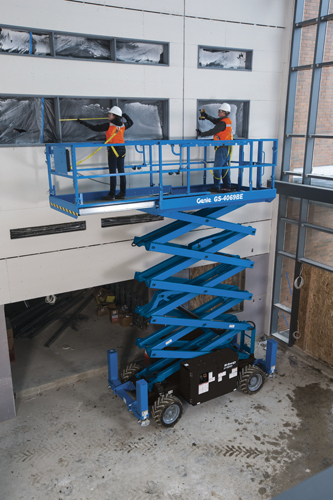 Competitive lift speed and large platforms increase efﬁciency with the handling and capacity to get to the jobsite and ﬁnish working faster.